Report engagement data provides you with valuable business intelligence on how each of your individual customers is engaging with your automated reports. This data can be exceptionally useful in segmenting customers by engagement level and troubleshooting delivery issues. 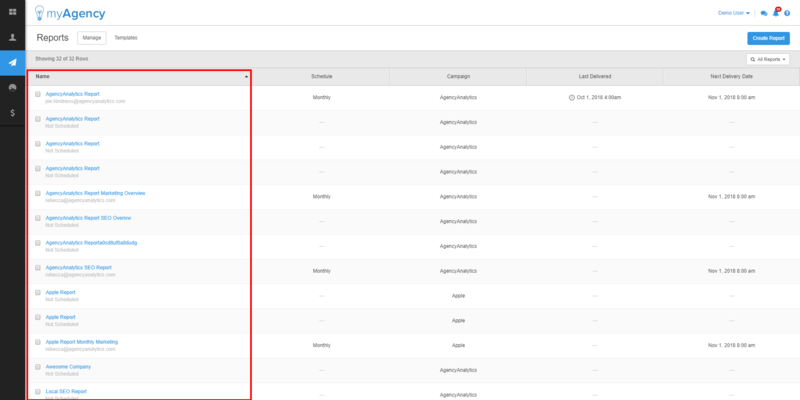 To access this data, click the name of any report to navigate to the "Report Details" section for that report. 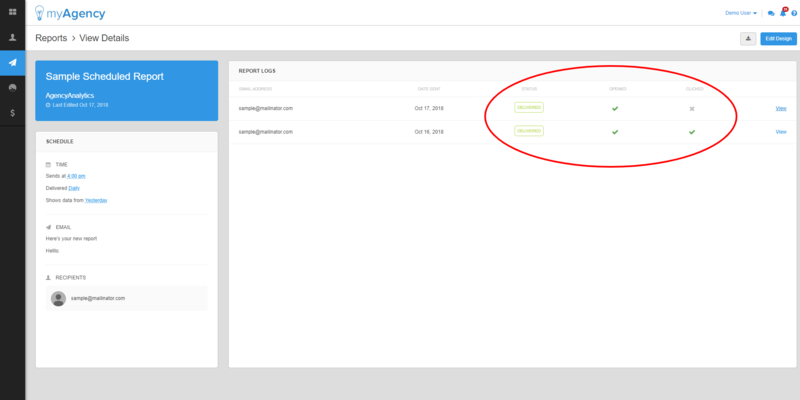 You'll then find the opens/clicks/delivery status information toward the right hand side of your screen, with separate data points for each email address.